← Teaming with gain: Are daily fantasy sports a form of gambling? 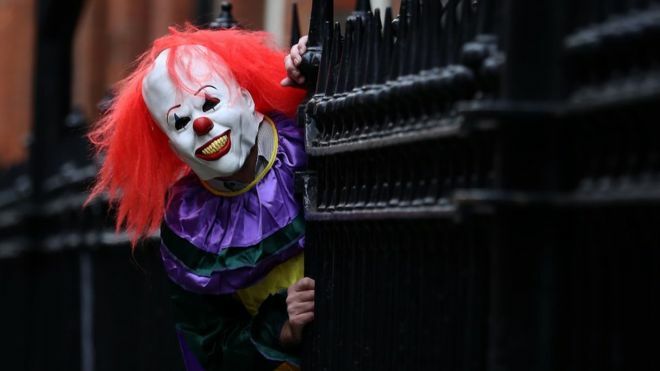 Posted on October 13, 2016, in Case Studies, Compulsion, Crime, Fame, Mania, Obsession, Paraphilia, Popular Culture, Psychology and tagged Anti-social behaviour, Batman, Clown psychology, Clownpocalypse, Coulrophilia, Coulrophobia, Heath Ledger, Online disinhibition, Scary clowns, The Joker, The Joker (Dark Knight), Trolling, Uncanny valley. Bookmark the permalink. Leave a comment.